Don’t get confused! Clearly look at the features and choose the best plan for your business. Q. How does the 15 days free trial work? Ans. : You have unlimited access to Invoicera during the 15 days trial. There are no contracts or credit cards required. You even get free support in case you have questions during your trial. Q. How often do I have to renew my subscription with Invoicera? Ans. You can subscribe/renew with Invoicera monthly or annually. Q. What will happen to my account once the trial period is over? Ans. With the free trial, you can use Invoicera at no charge for 15 days (no credit card required). Once the trial period is over, you can choose pro plan. If you’re not ready to subscribe, your account will automatically be downgraded to our Free Forever plan. Q. Can I change my plan anytime during my subscription period? Ans. You can change your plan anytime during the subscription period. You will Simply be charged for the difference. Ans. We use TSL security encryption which is the industry standard for transmitting data safely over the Internet. Q. 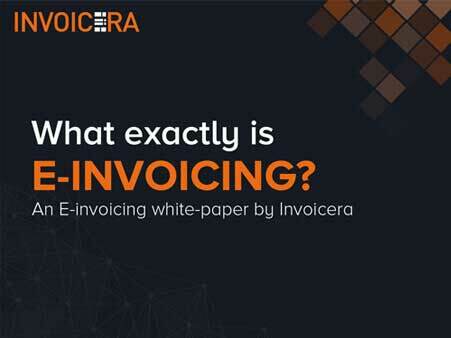 How long will Invoicera be around? Ans. : We’re not going anywhere! We have been around for more than 10 years and more than 3 million users trust Invoicera with their business transactions each day! Ans. : If you need help, please drop get in touch with our support team and one of our Customer Delight officers will get in touch with you shortly! Q. Do I have to install many software? Ans. : Invoicera is a 100% web based software - there’s no software to install and you may choose to access Invoicera anywhere. You may even use Invoicera using your mobile device. 4.9 out of 5.0 by 52349 clients for Online Invoicing and Billing Software. "Infinite Edition" will be a better plan for you where you can get unlimited staff & active clients.